Health officials from the World Health Organization (WHO) are closely watching a new respiratory virus closely related to the Severe Acute Respiratory Syndrome Coronavirus (SARS-CoV). The newly seen virus has killed at least one person from Saudi Arabia earlier this year and left a Qatar national who visited Saudi Arabia in critical condition and suffering from kidney failure. The WHO said virus samples from the Qatar patient are almost identical to that taken from the 60-year-old Saudi national who died earlier. SARS-Coronaviruses are typically spread by air and from close contact, however in this latest outbreak there was no evidence yet of human-to-human transmission and scientists are not ruling out animal to human contact. Health officials do not know whether the present virus will spread as rapidly as SARS-CoV or if it might kill as many people (~ 10%). SARS-CoV was first seen between November 2002 and July 2003 in China and quickly spread from Hong Kong to 37 countries to become a pandemic, with 8,422 cases and 916 deaths worldwide. Saudi officials are concerned the upcoming Hajj pilgrimage next month, which brings millions of people to the country from all over the world and has previously sparked outbreaks of diseases including the flu, meningitis and polio, could provide the perfect opportunity for the virus to spread. 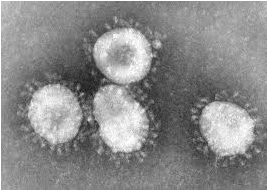 This entry was posted in Coronavirus, Viruses in the News and tagged coronavirus, pandemic, SARS, sars-cov, severe acute respiratory acute syndrome on September 24, 2012 by Jerome Tanner, PhD DBA.